This article was written by our guest Kevin from Debt Free Happens. All thoughts expressed are solely those of the author. Enjoy! Becoming debt free can seem like an impossible dream. I get it. I was there for many years as I tried to pay off my debt, yet the balance kept increasing. Then, when I got married, the debt only went up with my wife’s student loans and a new car loan. 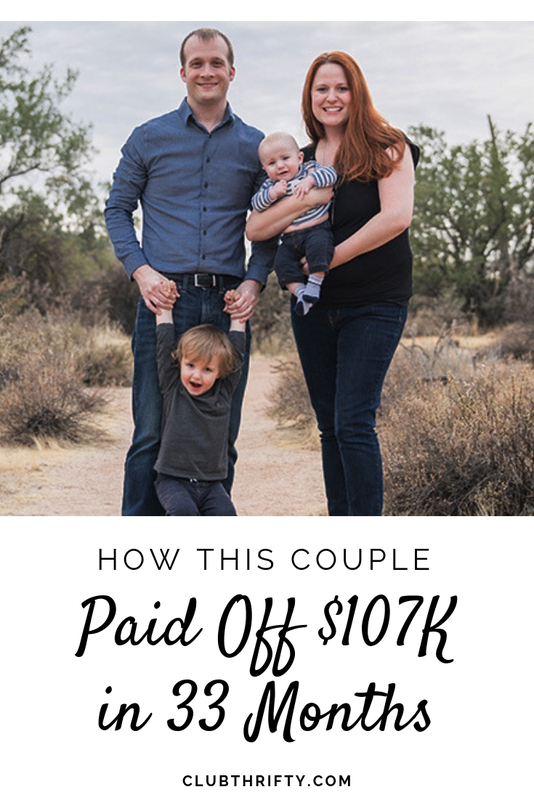 The result was $107,000 of debt we were faced with paying off. How were we going to pay this off at all, let alone early? We surpassed what we thought was possible and ended up paying off all our debt in 33 months. In hindsight, what made us so successful wasn’t a huge income ($83K – $107K during our payoff) but how we broke down our payoff into monthly goals that made this huge amount manageable. One late summer evening a few months in our marriage in 2011, my wife came home to see that I had take-out from my favorite Mexican restaurant. This was a common habit for me as a single guy who often spent more money than he had. Now that I was married, it wasn’t just my money I was spending, it was our money. Her silence told me she was not happy about me eating out instead of eating something from the fridge like she did that night. That moment is a perfect example of what led to debt and the challenges we would face together to get out of it. Old habits are hard to break, and bad habits have a way of adding up to worse things. Now, before we go any further, you should know that of the $107K of debt we paid off, $93K was from student loans and the remaining $14K was a car loan. I also had about $10K in credit card debt, but we kept that separate from the $107K in our approach. However, it is a critical part of our story. Our student loans were a symptom of a larger problem. In my 20s, I treated my credit card as an extension of my checking account. For instance, I would look at my credit limit and think, “I have ‘x’ amount I can spend!” As a result, I was always making debt payments rather than spending less than I earned and saving the rest. When the time came to take out student loans for grad school, I was used to being in debt. So, why not take out more ‘good’ debt? I took out more loans than I needed while also tacking on more credit card debt. I simply had gotten too used to living above my means as a college student. I ate out too much, went to too many concerts, and didn’t budget or spend within my means. I had no reason to be so confident based on past experience, but I remember thinking that I very well might have met my future wife that day. History tells us I was correct. That was the day it all changed. Now, it wasn’t an overnight process where everything in my life magically shaped up. Through the influence of my wife, I learned what it meant to handle money well. She would also help me find an ability and passion for personal finance that I never knew I had. While dating, we were both very up-front with our financial situations. While we both had student loan debt, we had a drastically different approach to the rest of our finances. She spent within her means and saved money while I spent more than I made. From the beginning, we were both serious about marriage and we both expressed a desire to get rid of our debt. That led to some real conversations about what that meant, though. Fortunately, a month before I proposed to my wife in 2010, I came across the Dave Ramsey Show. I found it unique that for the first time, I heard stories of people overcoming their debt. At first, I was in denial that I had an issue like the callers, but slowly, my opinion changed. If my future marriage was going to work, I needed to change. We were married in June of 2011. From the beginning, we considered our finances one. That doesn’t mean there wasn’t some messiness with that, though. There was some baggage we had to sort through. While I earned more than my wife, I brought a ton of debt with me. In addition to my student loans, $63K was mine and $30K was hers, and I also had around $10,000 of credit card debt. My wife had none. There is a big difference between student loans and credit card debt in terms of how you accumulate it. My wife offered to take her non-retirement savings and pay off my credit card debt, since she wasn’t a fan of debt herself. Now let’s be honest, that would be a tough pill to swallow for many and could lead to long-term resentment. Easy for me to say it was our money, but it had been hers not long before that. That is not an easy transition to make. We didn’t pay off the $10K of credit card debt right away, though. I think in the first month or two we paid off one card, and a couple of months later we got rid of the rest. That gave her a chance to see me deal with money daily, and at that point, I was ready to turn a new leaf. Things weren’t perfect, but positive changes were happening. Six months into our marriage, we still had $107K to contend with. While we should have lumped the $10K of credit card debt with the other $107K, we just didn’t do it that way. It would make for an easier story to tell, but as a couple we needed to get over the credit card debt first before we could handle the rest of the debt together. Also, due to the emotion, it was a different mindset we were in and I think both of us were skeptical about being able to pay off $107K of debt. Our income at the time was $83K a year between the two of us. We owed more in debt than we made in a year. How intimidating! When we started paying off the $107K though, something clicked. 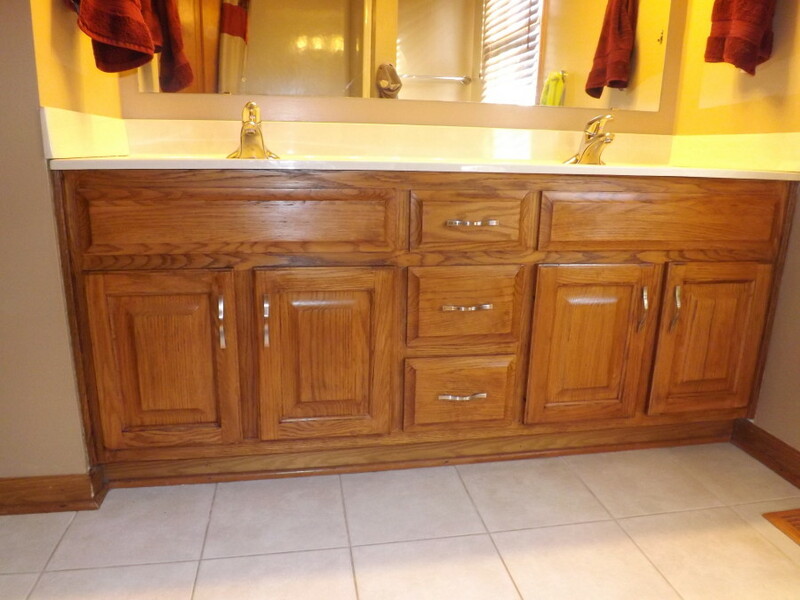 With the credit card debt behind us, we were ready to look the $107K straight in its eyes with no fear. The key was that we had been listening to debt-free screams on the Dave Ramsey Show and through those alone, we believed that we could pay off our debt on our income. This was at the beginning of 2012 and there just wasn’t the proliferation of debt-free stories like there is today. Dave Ramsey was our only influence at that time. Even with this newfound confidence though, we needed a plan. This is where goal setting comes in. When paying off debt, there are some essentials we feel everyone must do. This includes budgeting, the debt snowball, raising your income, and cutting expenses. All those things we did, particularly the budgeting and cutting expenses, but we also set monthly goals to keep us on track and motivated. To me, that is what allowed us to pay off so much debt without giving up along the way. Since $107K is a lot of debt, we were looking at years, not just months, to pay it off. That meant many nights we wanted to go out to eat or splurge for a treat. That can wear on you over time, so that is why we broke our debt payoff into a series of monthly goals and focused on one month at a time. That way, we could break the month down into weeks and days to help us achieve our goal. Having a goal to focus on each month took the pressure off trying to do too much. That was my downfall in the past when I tried to pay off debt when I was single. I thought I had to solve it all at once. I figured that it was pointless to pay off a small loan if I still had a lot of other debt. With monthly goals, I saw the benefit those small quick wins had to keep us going. In the end, we realized we would exceed those goals, which ultimately led to us finishing our debt payoff much sooner than anticipated! These goals might seem small or insignificant when looking at the overall number but hitting each one meant a level of progress and freedom. Paying off a loan was the most satisfying because I realized with each one we knocked off, we were reducing our risk and monthly obligations. That builds confidence and makes you push harder for more success. Halfway through our debt payoff, I would feel this urge to make debt payments, but then remembered that certain loans were gone! I had gotten so used to making minimum payments on debt all the time that it was just a natural reaction for me. What a relief. It made me want to keep paying off those loans! Our unique goal was coloring in a debt thermometer. It is such a simple tool, yet so effective. Paying off $107K was a long road and it was easy to feel frustrated halfway through. We had a debt thermometer on our fridge, though, so we could visualize our progress and knew it was worth the effort of budgeting and reducing our spending. Every $3,000 of debt payoff meant we colored in the debt thermometer. As we did each monthly budget, we would project if we were going to be able to color the thermometer that month. The best reason the thermometer was so effective was we knew as we paid down principal, we were saving in interest. By paying off our loans early, we saved $40,000 in interest that we would have paid to finance our debt. Think about that! We recovered $40,000 over our lifetime that we can invest rather than put towards debt. That is a huge swing, so it really benefited us to pay off debt in a way that would keep us engaged and motivated. After 33 months we became debt free! The goal setting was such a critical part of our plan. When we initially planned our payoff, we projected it would take almost five years. As our income went up (it peaked at $107K at the end) we basically cut that initial projection in half. By reaching further each month, that progress compounded to shave a couple of years off our initial projection. The key was that we didn’t try to do too much at once. We simply set a goal each month with the budget we had and made the most of it. The result ended up being something beyond what we could have anticipated. What kinds of goals do you like to set when saving or paying off debt? Please share with us below! 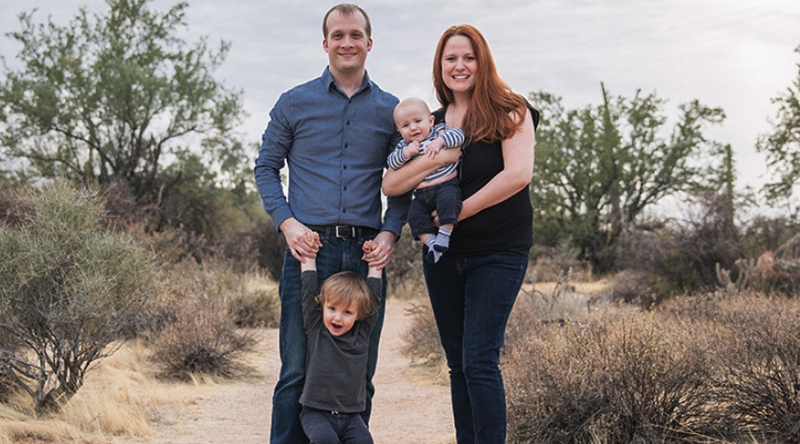 Kevin Jones is the co-founder with his wife Erin of Debt Free Happens, where they share their story of debt freedom allowing Erin to quit her job to stay home with their kids. They share their resources, tips, and motivation to help others save money and pay off debt. PreviousGo Shanghai Card Review 2019: Is It a Good Deal? NextHouston CityPASS Review 2019: Is It a Good Deal? That’s a really cool story. I love ‘real’ examples of paying off debt. The thermometer is a great idea as well. When you’re working toward a goal that big, you have to see the bigger picture to stay motivated. This actually sounds a lot like our family’s debt story! We didn’t have the hurdle you guys had, but it was a similar struggle — the same types of debt and time frame to pay it off. I had to pay off $24k to join the Air Force. I like that you mentioned combined finances. I don’t think it’s the only way, but it makes the most sense for us, and it seems to typically work out better for the families I’ve seen. Great Story Kevin, this had to be a great bonding experience between you and your wife, and great that it happened so early in your marriage. Keep up the good work, now use the payments you were making to squirrel it away for the future!